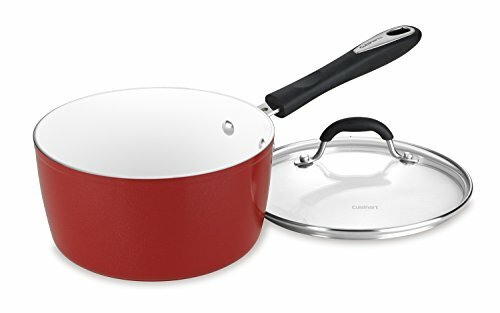 This Cuisinart Elements non-stick cookware set is just what every home chef needs. 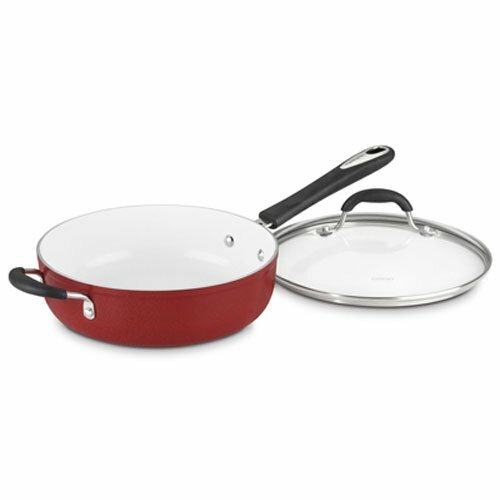 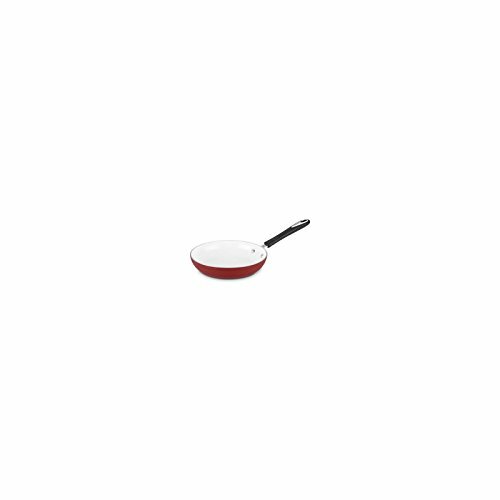 The Cuisinart Ceramica polar white nonstick ceramic cooking surface will not stain or discolor. 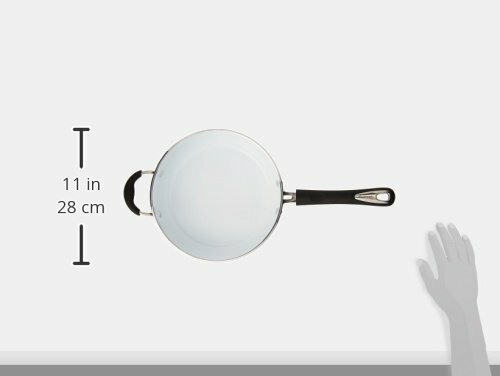 You're cooking healthier as well with this nonstick being PFOA and PTFE-free. 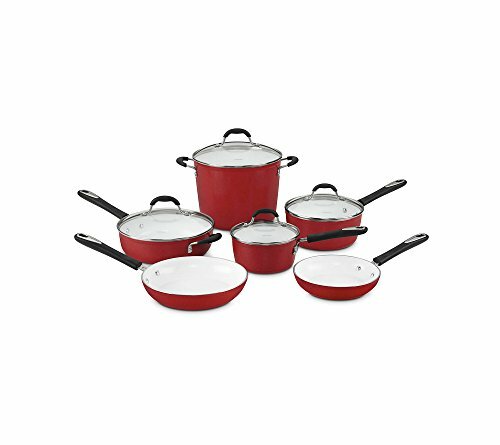 The aluminum core heats quickly and evenly providing superior performance. 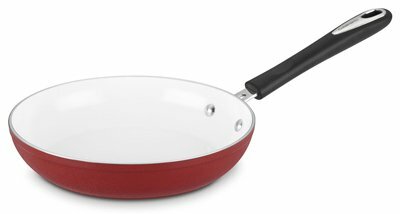 The classic red color will add a splash of color in any kitchen.